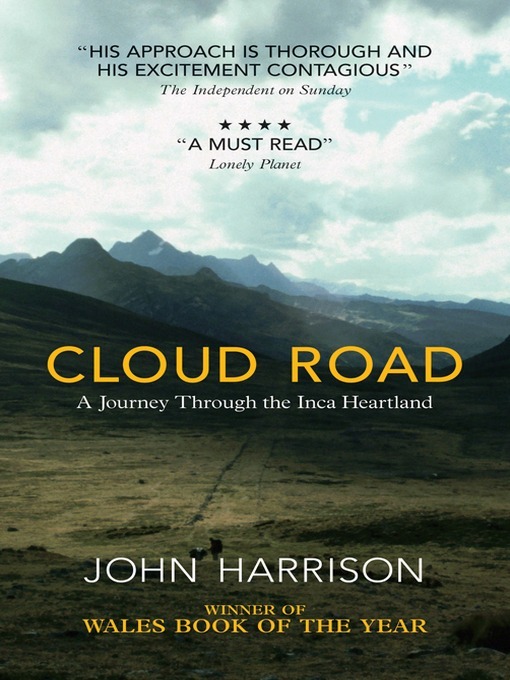 Cloud Road is a travelogue by John Harrison. It was published in 2010 and is available both digitally and in mushed-up tree and ink format. Harrison sets out to walk the great Camino Royal through South America in search of a lost culture: The Incas. What is left of them? What is left of the road? What is left of his patience with his donkey? All vital questions, some with answers. Like all great journeys, there is a personal quest here too, with questions to be answered about Harrison himself, for himself. 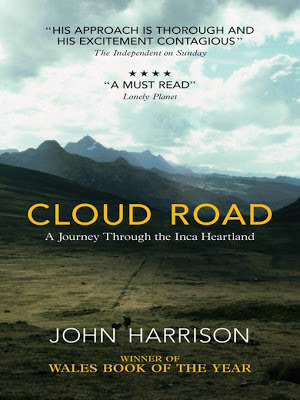 Cloud Road is a very readable, knowledgeable travel book, with insight, education and history balanced amongst the local anecdotes and the funny donkey stories. At the beginning I felt as though Harrison's journey might be something you could strive to achieve one day, by the end I felt idiotic for even having such a thought. Walking the route he does is clearly some feat and having the strength of mind to provide such insight into it counts as a second one. In places, I was gripped, not something you can say of every travel book. The history is quite dense so maybe there is an argument that it won't be for everyone, but I personally found it thrilling. My only gripe would be with the personal sections about Harrison's life with his girlfriend, which I felt we could have left behind, though her appearances on the trip were not doubt an important part of the tale for the writer. As far as its possible to tell, the film rights haven't been snapped up yet and, sadly, travelogues are hardly Hollywood's favourite genre. Probably a no-go for now. There's plenty of material here and, as with most travelogues, two routes for Hollywood to take. Give Harrison some money and a camera and you might get a decent documentary, or dramatise the piece as some sort of voyage of discovery/coming of age trek through foreign lands. In the case of the latter, there is material to mine from Harrison's personal to life, so perhaps it would be possible to get something, although you can see why Hollywood typically stays away from this sort of thing. 'Unattractive genre' is the main culprit here. The follow-up, Forgotten Footprints, which sees Harrison off to Antartica, is out now.